Distance determination is an essential technique in astronomy, and is briefly covered in most textbooks on astrophysics and cosmology. It is rarely covered as a coherent topic in its own right. When it is discussed the approach is frequently very dry, splitting the teaching into, for example, stars, galaxies and cosmologies, and as a consequence, books lack depth and are rarely comprehensive. Adopting a unique and engaging approach to the subject An Introduction to distance Measurement in Astronomy will take the reader on a journey from the solar neighbourhood to the edge of the Universe, discussing the range of distance measurements methods on the way. The book will focus on the physical processes discussing properties that underlie each method, rather than just presenting a collection of techniques. 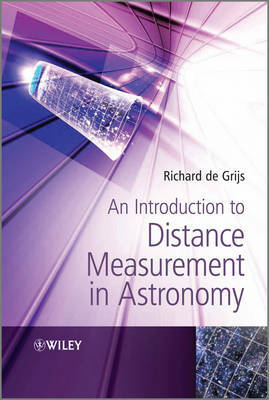 As well as providing the most compressive account of distance measurements to date, the book will use the common theme of distance measurement to impart basic concepts relevant to a wide variety of areas in astronomy/astrophysics. The book will provide an updated account of the progress made in a large number of subfields in astrophysics, leading to improved distance estimates particularly focusing on the underlying physics. Additionally it will illustrate the pitfalls in these areas and discuss the impact of the remaining uncertainties in the complete understanding of the Universes at large. As a result the book will not only provide a comprehensive study of distance measurement, but also include many recent advances in astrophysics.